See the orange line? 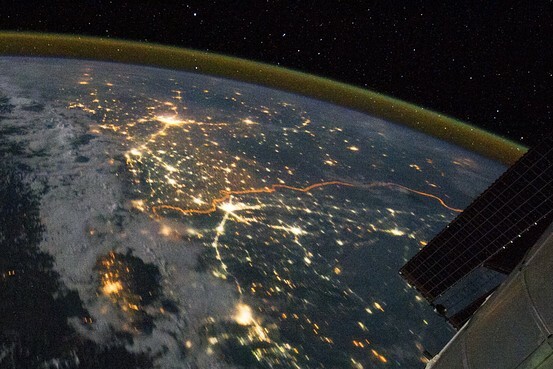 This is what the border between Pakistan and India, floodlit for surveillance purposes, looks like at night, from space. The picture, taken by the International Space Station’s Expedition 28 crew, was shot on Aug. 21 and recently released.